–The Reds’ bullpen is not good. That is all. —Go watch this marble race right now. Pick a winner before the race. Trust me, you’ll be mesmerized. I can’t figure out why this was so exciting. 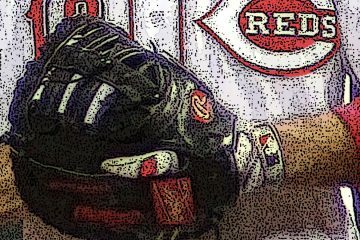 –I had a lot of fun writing this piece for Cincinnati Magazine in which I compared Eugenio Suarez to Todd Frazier since, you know, Suarez is trying to replace the Toddfather. A couple of things stood out when I started looking at these two guys (if you follow me on Twitter, feel free to skip ahead). First, Suarez has been in the majors for parts of three seasons now, but he’s still younger today than Frazier was on the date he made his major league debut. Also — and this one blew me away — Suarez is 24-years-old right now, and he has 17 home runs in 105 games since coming over to Cincinnati. In Todd FrazierÃ¢â‚¬â„¢s age-24 season, he hit 17 homers in 130 games…for AAA Louisville. So be patient with Suarez. He’s still very young, and has plenty of room to improve. Which is great, since he’s already pretty darn good. –Yes, Suarez is struggling with his glove so far. This is another area where I urge patience. He’s basically learning a new position on the fly, at the major league level. That’s not easy to do. Before this season, Suarez hadn’t started a game at third base since 2010, when he was 18 years old and playing in the Venezuelan Summer League. –Bold prediction: Raisel Iglesias will finish in the top five in National League Cy Young Award voting this year. 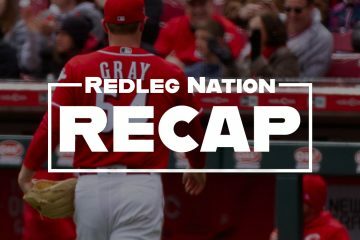 –Not getting a whole lot of production out of Joey Votto yet. Are people starting to freak out? 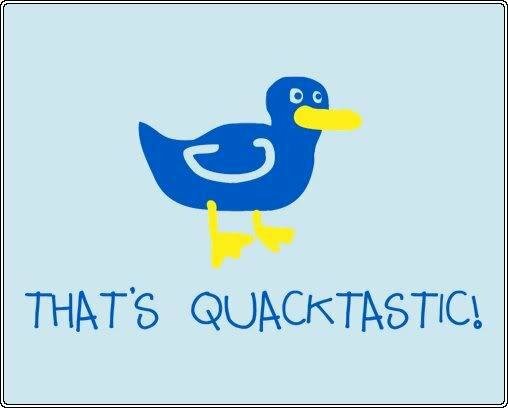 I can never tell. –So, Devin Mesoraco is hitting .105/.227/.105, and missed last night’s game with tightness in his right leg. Remember the Mesoraco of 2014? Me neither. –Hey, look at that Adam Dunn picture over there. I put it there because I hadn’t seen a Dunn picture at RN in a long time, and I wanted to see another Dunn picture on RN. –Will Leitch is a Cardinals fan, and that’s hard to ignore, but I really enjoyed this piece on the old All-Star Baseball game. What I liked most was his discussion of sabermetrics and being a fan. It captured perfectly — I mean it, perfectly — my relationship with sabermetrics. I wish I had written those words. –Tyler Holt has a slash line of .000/.000/.000, but has scored two runs. And every time I see or hear his name, I think of this (from the brilliant Arrested Development, if you aren’t familiar). Tyler Holt! –I wish the Reds would cut Alfredo Simon and sign Jimmy Haynes. Or Eric Milton. What’s the difference, right? At least it would be a great story. –Ross Ohlendorf leads the Reds in wins (2) and funky windups (1). Man, I love that 1920s-era windup Ohlendorf uses. The Reds should sign him to a billion year contract, just so I get to keep watching that delivery. –I’m not a gamer by any stretch of the imagination, but I let a friend talk me into joining an online league in MLB: The Show 16. The game is fun, but I’m just awful. We did a full draft, I got Mike Trout, Johnny Bench, Joey Votto, Tom Seaver, Mike Schmidt, Johnny Cueto…and yet, my team is 0-5 to start the season. I can not figure out how to hit consistently to save my life. I’m the Pokey Reese of online gamers. Anyone else play? Are you willing to tutor me? Also, Tyler Holt reminds me that I really want to go back and rewatch the entire run of Arrested Development. Just because. –The first use of OMG was in a letter to Winston Churchill in 1917. Really. –Hey, I’d like to offer a huge thank you to everyone who donated during our recent fundraising drive (and everyone who purchases merchandise during phase two). This site has been a labor of love for over a quarter of my life (! ), and I’m constantly amazed by (a) the thoughtful, talented writers who grace the digital pages of Redleg Nation every single day and (b) the incredible community of readers and commenters who make this place special. Thank you from the bottom of my heart. We don’t come to you begging for money except during this brief fundraising period, because this isn’t a for-profit enterprise. I’ve lost money on RN over the years, and I’ll happily keep losing money. But every donation you make does help defray my costs in running the site (and we had to make some pretty big upgrades a couple of years ago in order to make the site run better) and, as Steve (who does such great work in keeping this site running from day to day) has said, to help us do nice things for this great group of writers that we have. The dollars you donate aren’t just going in someone’s pocket. They’re going to make this a better site. So, this will be the last time I’ll talk about this since this portion of our fundraising period is over for 2016, but you can still click that “Donate” button on the right sidebar. Setting up a regular monthly donation of a buck or five (or whatever you think is appropriate, considering what you get out of the site) really helps us out. Or maybe buy some swag, and we’ll see if we can get a Redleg Nation get-together at GAB organized so everyone can wear their t-shirt and put faces to names. And if you’re not in a position to donate, that’s fine too. I started RN as a place where serious Reds fans can get together to discuss our team in a thoughtful, respectful manner. That will remain the mission, and I need all of you to help make the Nation the best it can be. The new season of House of Cards is definitely worth your time. Much better than season 3. You have bench on your team? How are his knees holding up these days? And how’s Seaver’s arm? Both are amazing. Fortunately, they haven’t aged in-game. Chad – Is Iglesias on any kind of innings limit this year? I was under the impression that he would shut down at some point, later on? I’m sure he’s on some kind of limit, but they’ll push him out further than they did last year. I can still dream, though. Love your bold prediction on Iglesias. Much bolder than mine of him being a breakout player in the NL this year. I’ll get on board with you. Drive the Iggy train to CYA town. Thanks for such a great web site. I’ve been McLuvin it since 2011. I recommend it to other Reds fans whenever I get a chance. Great place to learn more baseball, both new and old. That marble race is incredible. And I picked the winner! I see Price has Suarez at shortstop tonight. Seems like a bad idea when he’s struggling to learn third base. Does that mean Zack is ailing again? +157,219 for the marble race video … have to share it and encourage others to watch. As for our Reds … we got excited for 6 games and now are getting what we expected. I agree we need an order of Pasta 2 Go!! Today is Pete Rose’s birthday. Happy 75, Pete! Jimmy Haynes, Eric Milton, naw, we need Elmer Dessens! Never saw the old All-Star Baseball game, but I did spend some time playing Strat-O-Matic. In fact, I still have the game. I took it out and tried to get my son interested in it about 25 years ago. Being raised on video games, he showed no interest. If you play the original All-Star gamw, with the old timeplayers. Take Eddie Collins, you will not regret it. He’s on base all the time. I made my own disc using an erased Buddy Bell as a donor disc. I figured his stats approached my own and didn’t want to BS it up by putting myself on Babe or Gehrig. I kept it real.